1. Make your pets stay more safety with Appello 4P, save you a lot of trouble. Easy to operate and save the data. 2. 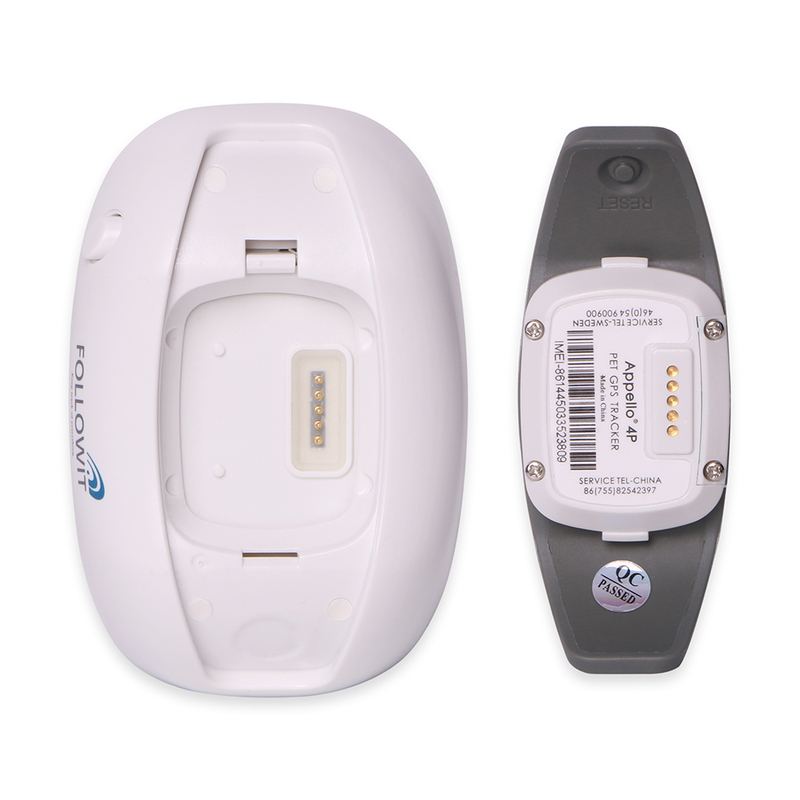 As if the gps tracker unit stay beside of the power base even attached to the pet collar, the battery could last 12months without charging. 4. Lifetime APP Tracking service. 5. Multi-colors can be choosen. 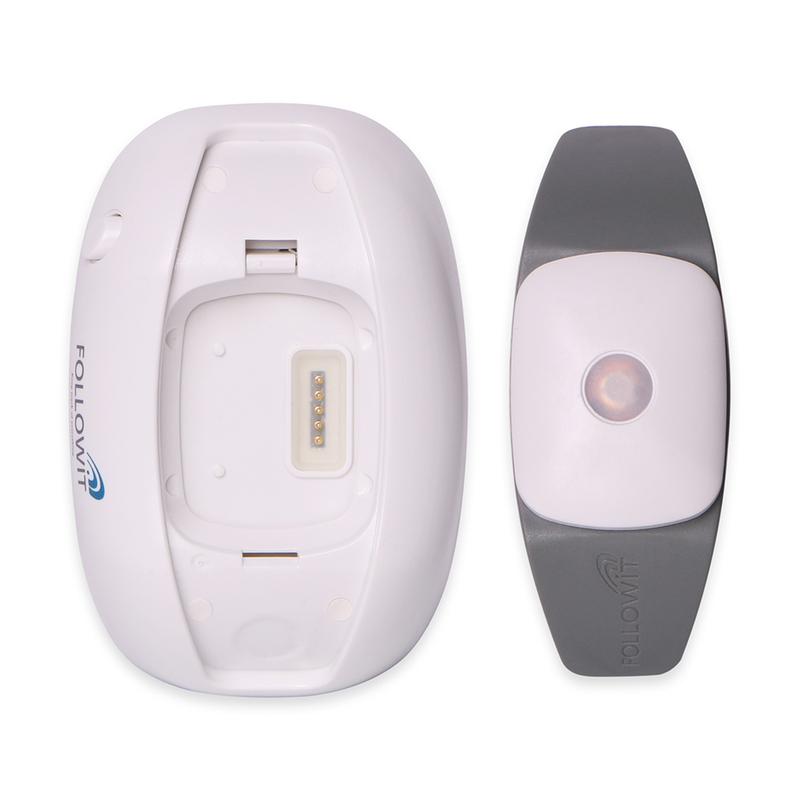 Appello 4P is a waterproof GPS tracker which is suitable for pets. As if the gps tracker unit stay beside of the power base even attached to the pet collar, the battery could last 12months without charging. Appello 4P combined with 2 parts: GPS tracker units and power base, GPS tracker cover could custom with many different colors. 1. 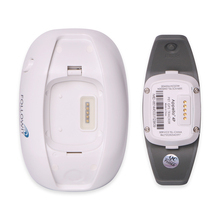 As a perfect Pet Tracker the most important is with a small volume but long standby hour of battery, waterproof, it can be used for outdoor positioning for the medium and small sized pets. Normally in order to achieve the long standby time, factory would adopt a large-capacity battery and had to give up small volume of market demand. 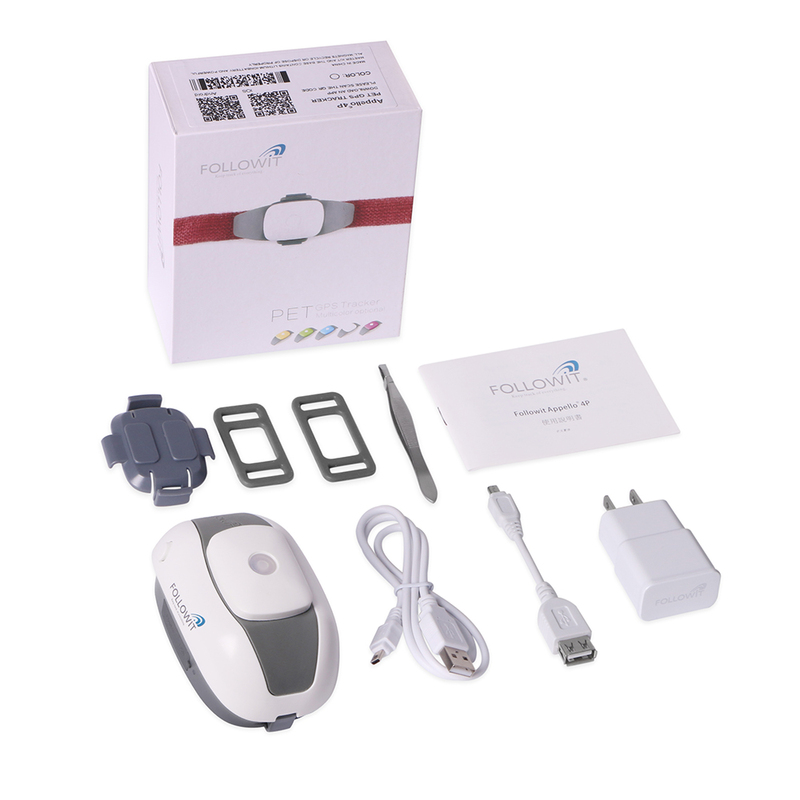 Even with the large-capacity battery, the standby time increasing is limited, current market pet GPS locator standby time is usually last 2-6 days. For Example: If you are using a conventional pet tracker, the owners have to charge of the device every day/ wear onto the collar/start the phone, with the fear of lack of electricity when a pet is lost that day, waste a lot of time on such annoyed things. This device is not going to bring security and happiness as it should be, but bring the fears and worries instead. Concerning when charging the device at night, or forget the day when charging, pet get lost …? One of the biggest disadvantages is consumer data once start2. 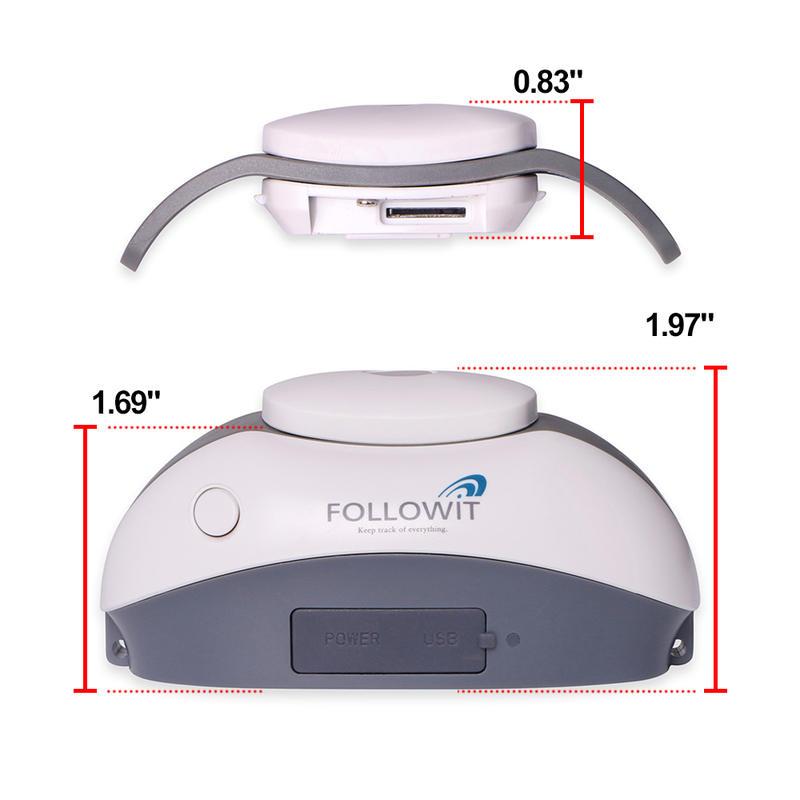 FOLLOWIT Company had completely solved all these troubles, Appello 4P designed as with a small GPS unit and a big power base. It could be used in combination as a pet tracker and also could be used separately. 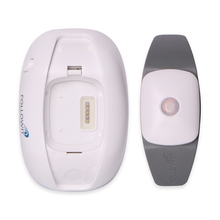 The small GPS Tracker unit with a small size built-in lithium battery could be attached to any pet collar. The power base with the built-in 6000mAh lithium battery and wireless management module, either charge to a GPS tracker unit via a wireless signal or can control the computer’s power (on and off). 3. 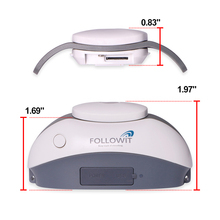 As if the gps tracker unit stay beside of the power base even attached to the pet collar, the battery could last 12months without charging; once the pet out of the scope o f the power base(D:20m), it would alert to your phone automatically and star the device. 1. The GPS tracker: NG: 35g; attach to the pet collar, it’s the most important part, it could used to separately to track pet, it much charge to put on the power base. 2. The grey wing of the gps tracker unit contain the GPS and GSM antenna inside, it could hide the clipper and banner perfectly. 3. The middle is the main part of the GPS tracker which include the PCBA and built-in 380mA lithium battery. 4. The top button is the “SOS” button and working status LED light. 5. The 5 touch point on the bottom use for charging and data transmission. 6. Without any physical switch, the machine power is determined by the distance between the GPS tracker and the power base. 1. Power switch on the base: control the gps tracker’s power wireless, within the scope of the D:20m, the gps tracker work start but would get start automatically after exceed of D:20m scope. Design Philosophy: make the tracker smaller and suitable for the smaller pet, give the limited power used in the most needed. As the gps units would off if stay in the geo-offence of power base. 2. A power base could management all the gps tracker units in the scope of D:20. Design Philosophy: It’s not only for pet, you could also use it as the whole to tracker your car, valuable things and act, The strong magnets could attached to the metal board(like the door of the car) and it’s water proof IP67 could resist the rain and dirty. 4. Start device>> Switch “On” of the base or you could take the GPS tracker away 10m from the base, the device would start and blue light on. 5. Await 2 minutes>> Blue light blink from 1 time/1s to 1 time/5s; if yes, go to the step 9; if not, go to the step 7. 9. Await 2 minutes, the blue light blink from 1 time/1 second to 3 times/1 second. 10. USE APP>> Click the app “ifollowit” input the device name, the last 6 diginal of IMEI#(barcode on the backside of the GPS tracker) Passwprd:123456 enter into app, click the position. Issue: The GPS tracker is full of energy, had left the base 50m or the base switch “on”, but could not be started to work normally. Press the top button does not see Blu-ray. Why when click “one time position””many position” it would give the call to the GPS tracker. Give the call to the GPS tracker means give a command to GPS tracker to make position, when the device receive the call, it would hang up and start position automatically. If there is no ring, please read the manual carefully and learn how to set the SIM Card# on APP and reserved. 1>>You can put the GPS device on base to charge if the GPS device runs out of the power; at the same time you can use them as a whole for a powerful GPS tracker. 2>>The Docking station with a strong magnet which can hold itself firmly on the metal board. Scan the QR code on the package to get the App, or go to the Apple Store and Google play to download the APP, search “ifollowit”. click”>” so you can check the tracker’s current location. This APP’s tracking service Lifetime Free. (No SIM Card and SD Card Included)If you need additional just tracker main unit or power base, then you can order it separately, besides, Collar is just optional accessory (Collar is suitable for 22-46cm pet neck), please notice.Thanks! Machine super but manual not dokładn A and not clear.